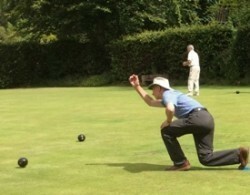 Crown Green Bowling is perennially popular with our U3A Members. We are fortunate to be able to offer a good number of sessions at some local Bowling Greens. Days vary per green. See below. Times vary per green. Contact Leaders as below. The outdoor bowling season is normally from start April to end September. The precise date is determined by the individual Bowling Club – see above – and usually depends upon the groundsman’s opinion as to fitness. For information, contact the Leader for your chosen green. If you wish to bowl indoors during the winter, why not check out the Short Mat Bowling or the Tenpin Bowling Group Pages for opportunities.